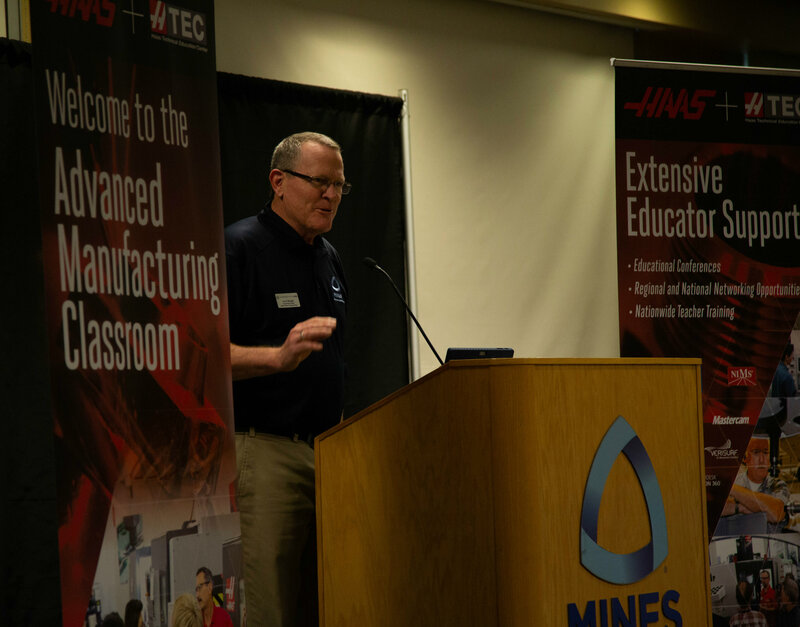 Colorado School of Mines’ Mechanical Engineering Department hosted the 2nd Rocky Mountain Regional Haas Technical Educator Center (HTEC) CNC Educator Conference on Oct. 6. About 50 CNC educators, HTEC partners and local industry representatives attended the free one-day conference. The CNC educators came from schools with machining programs that use Haas Automation CNC mills and lathes. The conference featured industry/educator roundtable sessions, partner presentations, lab tours and demonstrations, as well as a special panel discussion including local industry and educational professionals. During the conference, the Mechanical Engineering Department was awarded a $10,000 grant from the Gene Haas Foundation for student scholarships and fellowships. Mines plans to use its Haas grant to fund specialized multi-year fellowships for students who work in the Mechanical Engineering Machine Shop. The Gene Haas Foundation Fellows will be provided additional training on the CNC mill and, through a multi-year process, will become “train-the-trainers” for the shop’s mill. The machine shop, located in the basement of Brown Hall, is home to two Haas CNC mills. Gene Haas, founder of Haas Automation, started the Gene Haas Foundation in 1999 to support efforts to introduce students to careers in machining and related technologies. That goal is primarily accomplished by funding student scholarships for graduating high school students, displaced workers and military veterans. Based in Oxford, California, Haas Automation is America’s leading machine tool builder.